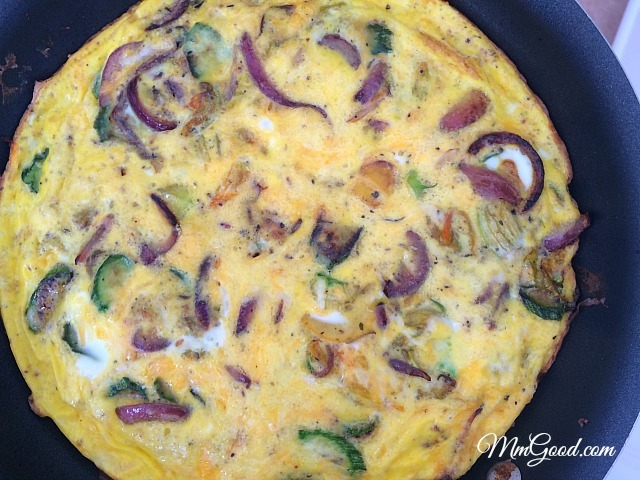 Growing up Italian we ate frittata often, my mom would throw almost any leftover in her frittata and call it a meal! 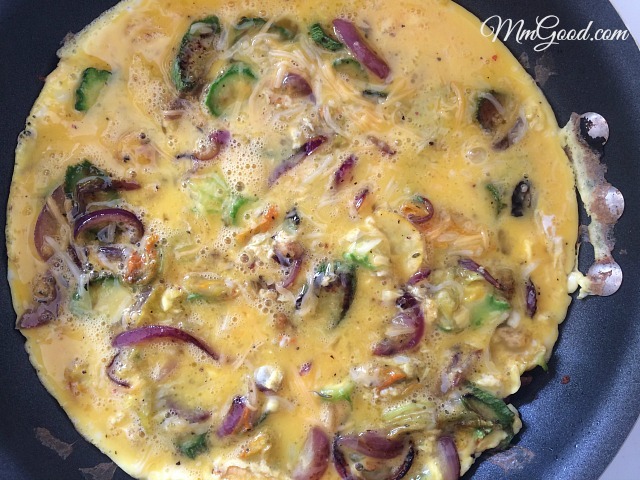 Back then she would cook up her vegetables, add the egg, create a solid “omelet”, then flip her frittata using a plate to finish off the cooking. That was crazy!!! 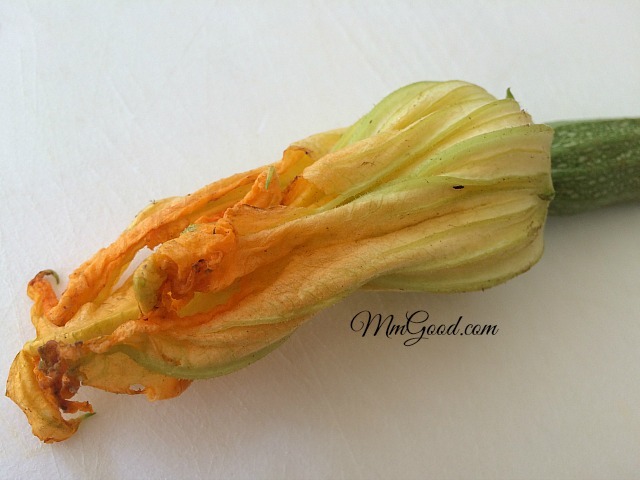 At our local farmers market I was lucky to find squash blossoms, if you are not familiar with squash blossoms, they are the flowers at the tip of the squash (zucchini). 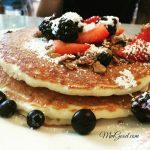 Blossoms are delicate flowers that are yellow/orange in color and are edible, they are sweet in flavor and have a slight flavor of the squash. 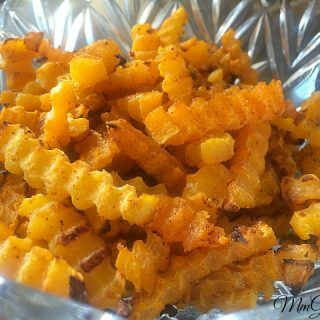 This recipe is great for breakfast, lunch or even as a snack. 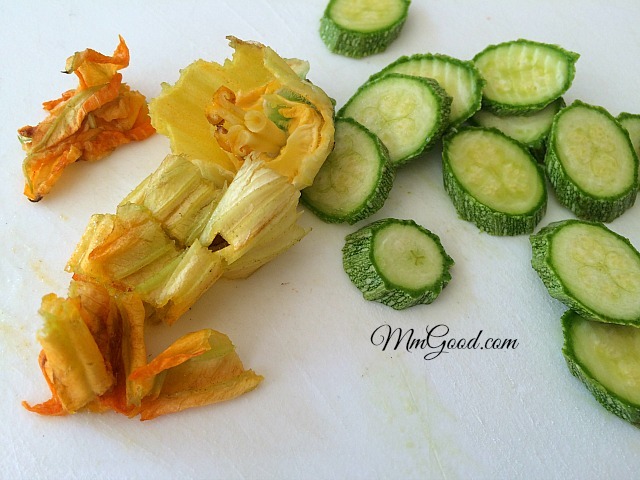 The blossoms add a sweetness that enhances the squash. You can play around with ingredients like adding mushrooms, tomatoes, eggplant and of course bacon. If you would like to add cheese to this frittata, try a mild cheese like mozzarella or a mild cheddar. 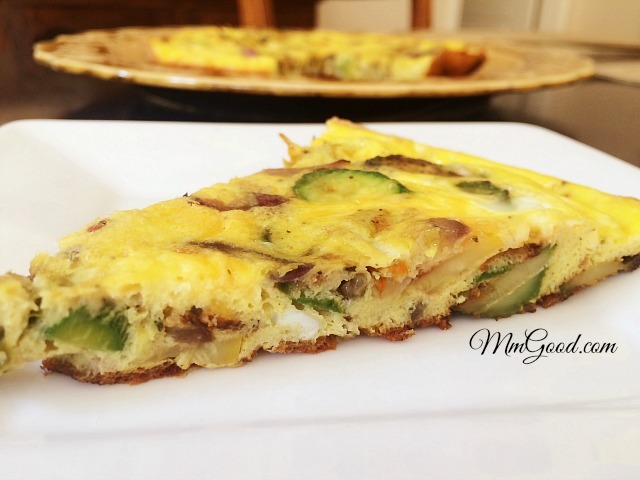 You can cook the frittata and make small bitesized pieces and serve it as an appetizer as well. 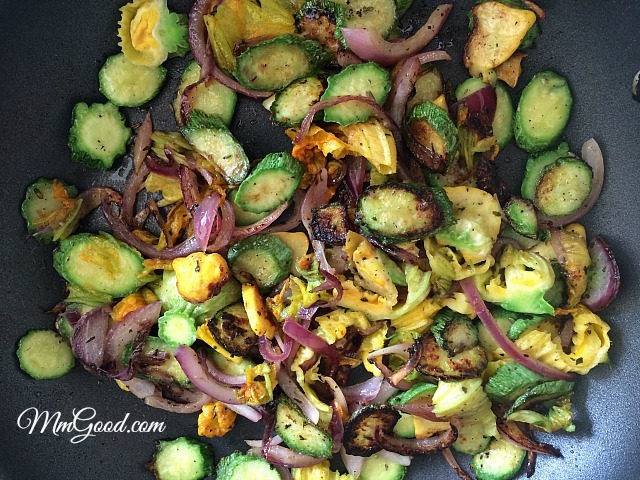 In a frying pan add oil, squash, red onion, Italian seasoning, salt and pepper. 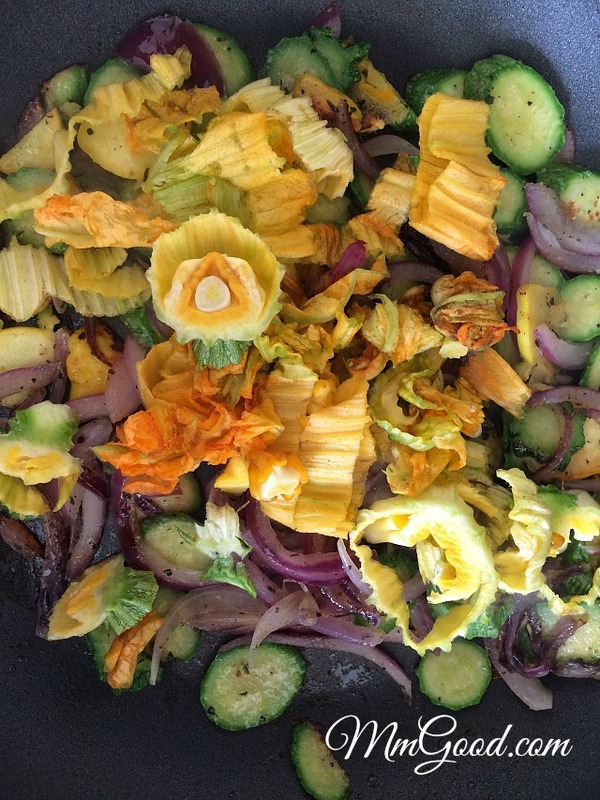 Cook until soft, once vegetables are soft, add the squash blossoms and cook until tender. Beat eggs and pour over the sautéed vegetables. 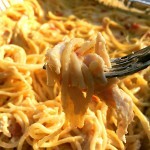 Allow eggs to cook through, the center of pan will "wiggle", remove from stovetop. Place pan in the oven and let it cook for 5-7 minutes or until the center is cooked through, remove from oven and let it cool in pan for 15-20 minutes. 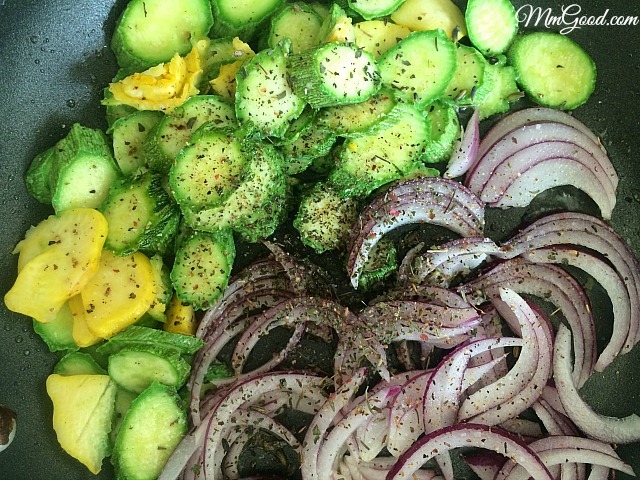 Remove from pan, slice and serve! Enjoy!